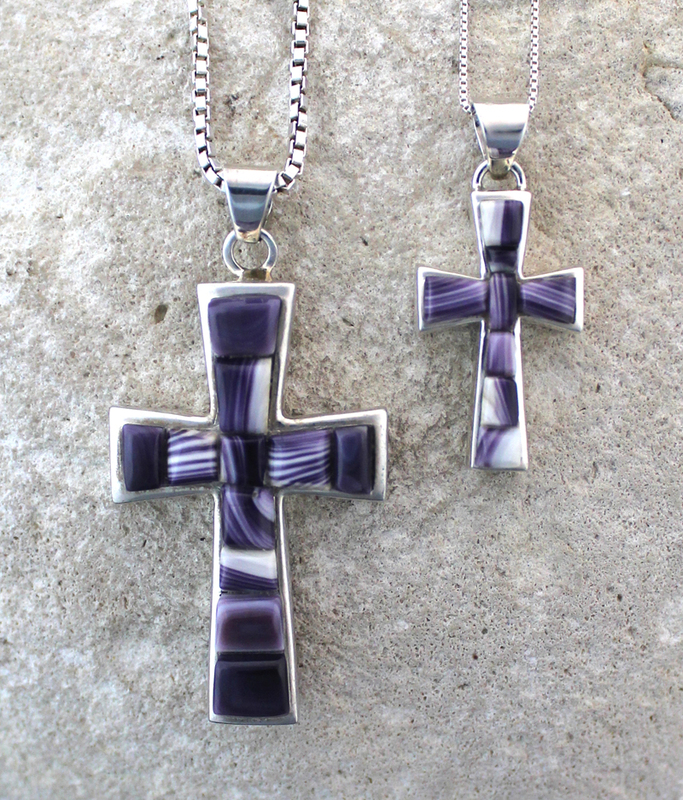 The Cross Pendants are handcrafted in our workshop with premium Sterling Silver. 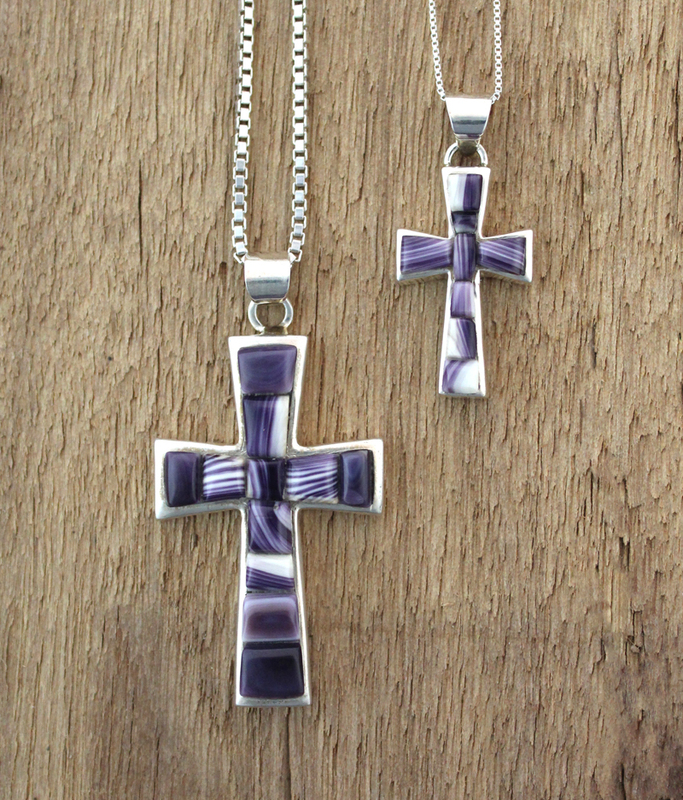 The crosses are inlayd with unique purple handcut corn-row style Wampum. Small cross pendant comes on a 18" sterling silver box chain. The large cross comes on a 20 inch box chain and can easily be upgraded to a thicker 24" box chain. The longer chain alows you to put on the necklace over your head without having to open the clasp - fast and easy! *Shown above is the two different sizes available; Small and Large. Price shown above is Small.